Friday and another championship game between one team at the top of the league and the other team absolutely rock bottom. Ipswich have so far had a shocking season as they have slumped to 24th out of 24 teams in the Championship and yes that means they are last/bottom, tail end and useless. With the side being unable to score a substantial amount of goals and being able, easily to concede a lot of them as well, it isn’t really the dream combination for them. Coming up against them is 5th placed West Brom who have done quite well in the league so far getting some big wins, like the 7 – 1 thrashing of QPR. West Broms Dwight Gayle has been in form scoring plenty of goals and showing his class on the pitch and is definitely one to watch for the Ipswich defence. I think this game will have plenty of goals and after West Brom beat a decent Leeds side 4-1 I think this one could be a goal fest. Saturday night is great for many reasons but this will be one reason why I will be enjoying it. A London derby and a high-quality one at that. Tottenham have had an encouraging start to their league season, sitting in fourth place just above rivals Arsenal and just behind rivals Chelsea and this is the perfect opportunity to put themselves just ahead of their sworn enemies. Tottenham have been playing well and have some class in their squad with Kane and Alli thriving for England, however, it has been speculated that these players don’t produce in big games and against Chelsea they have to be firing on all cylinders. Chelsea, on the other hand, have been in good form as well and have been very impressive. There is no way I can talk about this team and not talk about Hazard, the man is simply a very impressive player and arguably one of the best in the world and I know he can produce in these big games. This game hangs in the balance but for me the stronger team is simply Chelsea and even though they are away when Hazard gets on the ball and is in the mood he is unstoppable. La Liga has some great teams and who better to watch go head to head than not just two of the best teams in the league but two of the best teams in the world. Starting with Athletico Madrid they are a class side with quality all over the park and that is shown in their Europa League triumph last season. With players such as Griezmann and Costa up front and just an exemplary team behind them I could simply name every player, they will be a strong test and are already contenders for the league. 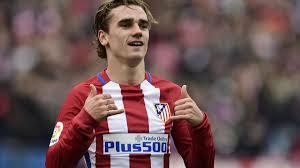 Griezmann is already a great player, even if that is a term used to often these days and will be a handful for an experienced Barcelona defence. Speaking of which Barcelona are for me the best team in the world and that’s because of one man. The greatest of all time, the magician, call him what you want, Messi is simply the best player I have ever seen and is the only player in the world I consider to be unstoppable. When he is on the ball you always think he is going to score and with a fabulous team behind him can Madrid really stop him? Early Sunday afternoon provides a fierce clash between two sides who are playing well at the moment. It sees two young managers Eddie Howe and Unai Emery go head to head to try and climb further up the table towards the European spots. Bournemouth have performed brilliantly this season and it was all summed up perfectly when in form striker Wilson scored on debut for England. For me it just showed how well they have done and how proud they should be as a club. More about Wilson, the man who is on 10 goal contributions this season ( 6 goals, 4 assists) and with his pace and strength could really cause some problems for the Arsenal defence who do have a few errors in them from time to time. 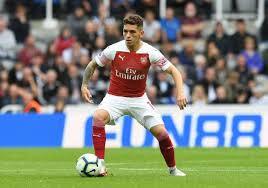 Arsenal, on the other hand, have also been impressive and I could go on about there superb attack but instead, I would like to again talk about Torreira who I honestly think is in the top ten midfielders in the league just because of his tenacity and drive and he is always running. He just seems to be in the right place at the right time and is a nuisance for attackers and midfielders. Due to Arsenal, I think, being overall the stronger side here, I think they will win this one. This game for me is a foregone conclusion as sadly Huddersfield just aren’t that good but I will summarise the two sides. Wolves have been very good this season for a freshly promoted team and have been playing some great football with Ruben Neves and Adama Traore being the most notable. For me this strong Wolves side are too strong for Huddersfield who only picked up their first win off the season against Fulham and haven’t won away yet this season. Sadly I don’t think Huddersfield will have any joy and I think they will probably be overcome by this Wolves attack. Last but not least sees Burnley take on Newcastle at Turf Moor which last season was a bit of a fortress for Burnley who saw themselves attain seventh place but now they have just slumped and things haven’t been great for them at all this season. Burnley does have some good players such as Tarkowski and Defour and are generally a decent side but they are simply underperforming and have been poor in front of goal and protecting their goal and their form shows that. Newcastle have recently turned things around and have won their last two games with Rondon scoring a brace which saw them ease past the in form Bournemouth and Rafa finally seems to be getting some direction into to a potentially talented group of players. Overall I think Newcastle will edge this one as I feel they are the superior side and have the ability to score and I feel at the moment Burnley can’t do that.